A Very Affordable Musical Trip To Paris! 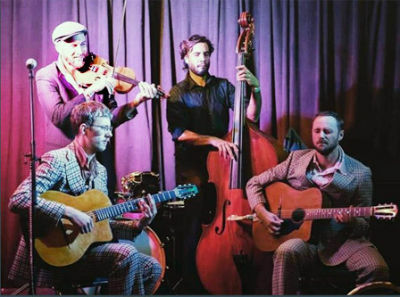 The Rogue's 12th annual celebration of gypsy jazz - April In Paris - brings seven swinging bands to St. James Hall this week. A bientot! A Taste Of Parisian Culture returns to Kitsilano! 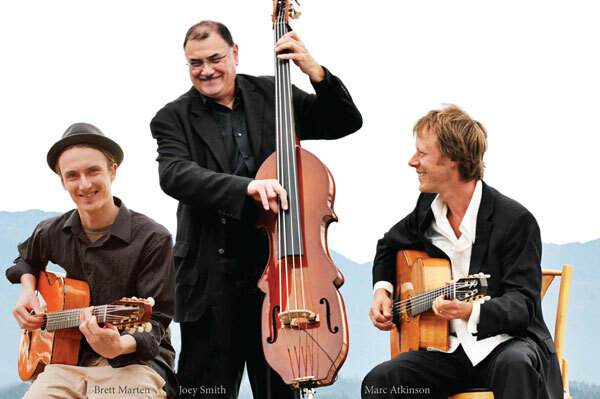 Our 12th Annual Festival Of Gypsy Jazz - April In Paris - runs from April 26th to 28th at St. James Hall. We are thrilled to present seven brilliant bands keeping alive the swing and joie de vivre made famous in Paris nightclubs in the 1930s and 1940s - and bringing it to you with their uniquely modern twist. I fell in love with the sounds of Django Reinhardt and co. at age 12 when my Dad bought a Django LP for 12/6d in old money in England in the 60s. Years later I was absolutely delighted to find a wealth of Vancouver musicians equally enthralled by the guitar genius and his fiddle-playing compatriot Stephane Grappelli, so much so that Van Django, Hot Club Of Mars, and The Marc Atkinson Trio became the principal reasons for creating The Rogue’s annual celebration of gypsy jazz in 2007. Django’s story is the stuff of legends. Born into a family of travellers in Belgium, he lived in a caravan. All the family played music. He first learned to play the banjo and later the guitar. One day his caravan caught fire and he lost the use of two fingers on his left hand as he tried to douse the flames. He had to re-learn the guitar. He was pretty good! 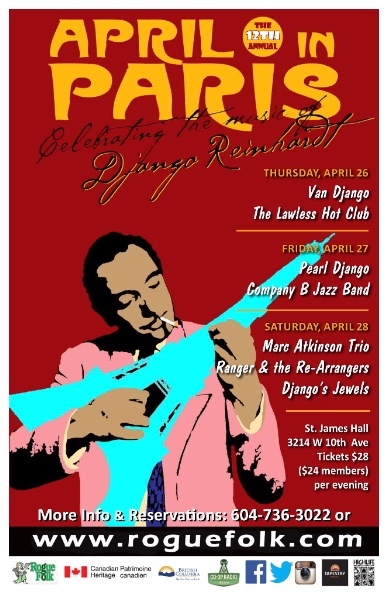 In the early 1930s American jazz was becoming increasingly popular in the dance halls of Paris, and Django’s music morphed from the traditional Bals Musettes music of the early 20th century to incorporate jazz. He met violinist Stephane Grappelli, who had some Louis Armstrong records. Django recognized two kindred spirits at once! He and Grappelli formed the Quintet of the Hot Club of France in the 30s and the band were on tour in England when war broke out. Grappelli stayed in London, but Django returned to France. He replaced the violin with Hubert Rostaing’s clarinet. Somehow he survived the war - he even escaped from a train en route to a concentration camp once. The Paris music scene was a vital recruitment tool for Hitler, and a German jazz enthusiast in the military - known as Herr Dr. Jazz - helped keep the music and musicians safe. Django became a superstar - and remains one of the most influential guitarists of all time. We are very lucky here in BC to have so many Django devotees keeping his musical legacy alive. 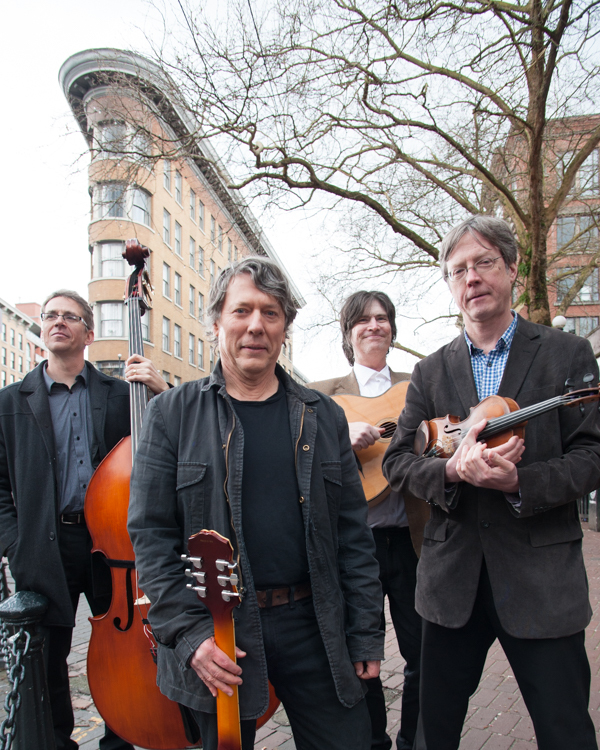 The Lawless Hot Club is the new Gypsy jazz group on the block formed by guitarist Michael Dunn, who has been a fixture in the Gypsy jazz world in Vancouver from its beginnings in the late sixties. His group the Hot Club of Mars played a big part in April in Paris from the very beginning! Don Ogilvie, whose guitar playing mastery is firmly rooted in the Gypsy style, has partnered with Michael on and off for just about 40 years. Their newest discovery is violinist Edgar Bridwell. Edgar played western swing and rockabilly with the late Ray Condo, and his repertoire includes anything from Mendelssohn to Grappelli and whatever is between. Joe Bourchier is a journeyman bassist who can be found playing with many bands around town, and chanteuse Eleanore Dunn, whose repertoire encompasses music from the American songbook, has what people have described as an “old fashioned voice” ideally suited to the music of the time. 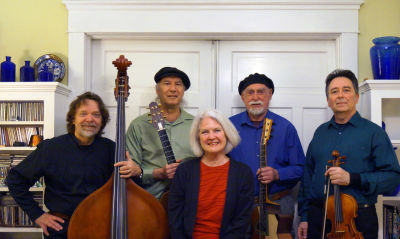 The group will feature some original Django pieces seldom heard as well as a few surprises. For Tickets and information click here. There will also be tickets available at the door. Don't forget, folks 25 and under are admitted at half price! Bring your dancing shoes. Company B Jazz Band is one of Vancouver’s foremost jazz ensembles, featuring a harmonizing female vocal trio in vintage style. In their 10 years as a band, this talented group of musicians has delighted audiences from all walks of life, from coast to coast to coast. Their creative arrangements, sharp image, and charming wit never fail to get toes tapping and faces smiling. They have graced the stages of such renowned festivals as the TD Vancouver Jazz Festival, the Jiangsu Jazz & World Music Festival(China), the New Orleans’ Boswell Sisters Review, the Sacramento Jazz Festival, the Pender Harbour Jazz Festival, Tiny Lights Festival, and Arts on the Fly folk music festival (BC). 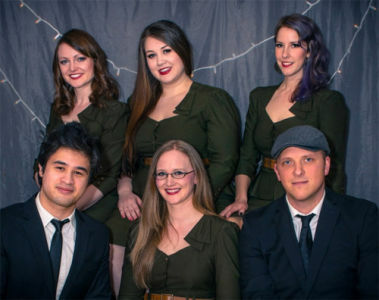 The group enjoys frequent airplay on CBC Radio 1 and 2, having been featured on such popular programs as Hot Air, Canada Live, and in live broadcasts on The Early Edition. Their most recent recordings are two sumptuous EPs - Shanghai Rendez-Vous (2016) and The Bee Sides (2017). Django’s Jewels is a dynamic young quartet from Vancouver (not Cumberland, as I was first mis-informed). On a mission to capture the sound of Django’s swing bands of the 30’s and 40’s, the Jewels swing hard and fast, with energy and a feeling that’s rarely heard in jazz Manouche today. They will play a short set to kick off this marathon finale evening at Le Moulin Rogue! 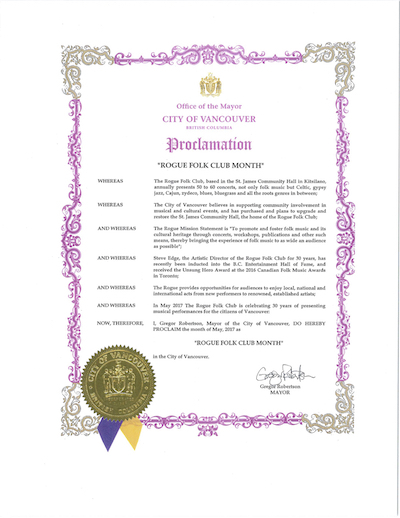 The City of Vancouver has declared May 2018 as Rogue Folk Club Month! To celebrate the Rogue's 30th anniversary (and 31st birthday) we have some incredible concerts next month, including Doug Cox & Mary Flower on May 3rd. Doug will be inducted into the BC Entertainment Hall Of Fame at the start of the evening, and Mark Stuart will play the first set before dobro-meastro Doug teams up with the amazing Portland guitarist / singer Mary Flower (who is also a member of the wonderful Ragpicker Stringband). We then have a show we call Hornby Blues with four of Canada's top Blues musicians at the Wise Music Hall on May 6th, Nova Scotia's delightful singer Laura Smith on May 10th (back at St. James), Kathy Kallick and her fabulous band on May 13th, Tony McManus- the finest guitar player in Celtic music today on May 14th, and two nights with the amazing vocal harmonies of Pharis & Jason Romero, who launch their new CD on May 17th and May 18th. 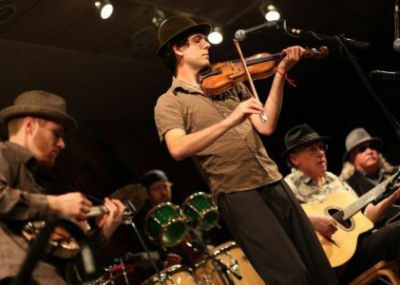 We round out our Rogue Folk Month with Welsh blues guitarist / songwriter Martin Harley on May 20th, and American songwriter Ellis Paul and Croatian keyboard wizard Radoslav Lorkovic on May 24th! On this week's edition of The Saturday Edge On Folk I'll pay tribute to the wonderful Sandy Denny, who died 40 years ago this week. I'll also have new music by the likes of Welsh harpist Catrin Finch with Mali's Seckou Keita on kora, Newfoundland's The Fortunate Ones, Toronto's mad Ukrainians The Lemon Bucket Orchestra, Tom Russell & Andrew Hardin, David Francey, Julie Fowlis, The James Hunter Six, Fru Skaggerak, Van Django, David Vest and Samantha Martin (who both play that Wise Hall show on May 6th), Calexico, Bumba Massa, and more! Plus whatever else jumps off the virtual shelf and demands some attention! I hope you can join me this and every Saturday from 8am to noon on CiTR fm 101.9 in Vancouver and www.citr.ca everywhere else.